Self standing single sided stand. 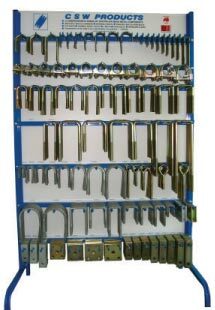 Displaying a large and varied range of commonly sought after U-bolds, V-bolts, J-bolts and Muffler Clamps. Contents of stand outlined in downloadable Catalogue. Self standing double sided stand. 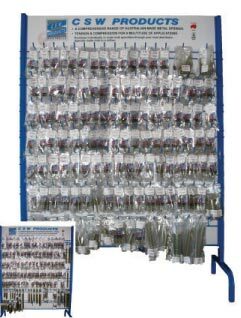 Displaying a large selection of both Tension and Compression Springs in commonly sought after sizes.